In New York City, our parks are undeniable, timeless community magnets. Our parks provide recreation, relaxation, and a place to connect with others. Unfortunately, the New York City Parks Department has long used a chemical poison tied to causing cancer to control weeds. The toxic weed killer, glyphosate, widely used under its trade name, RoundUp, contains a chemical that is linked to irreversible neurological and endocrine-disrupting effects, severe kidney damage, asthma, non-Hodgkin’s lymphoma and birth defects, amongst other grave and life altering conditions. It is incumbent upon us to make our parks in NYC as safe as possible. Sign and share the petition today telling the Parks Department and New York City Council to stop poisoning our parks. We can and must do better because New Yorkers deserve poison free parks! 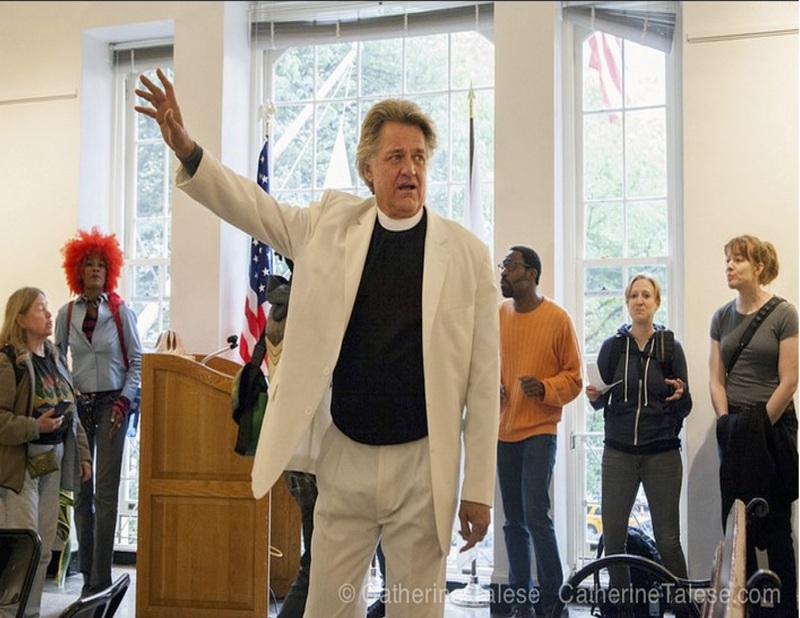 Photo:[October 5, 2015] – Coalition of activists led by Reverend Billy Talen stormed the Arsenal, which houses the offices of New York City’s Department of Parks and Recreation to raise the alarm of the unsafe use of toxic Roundup being sprayed by Parks personnel all over New York City. Sign and share the petition today telling the Parks Department and New York City Council to stop poisoning our parks.